Matt Hancock was yesterday named as new Secretary of Health and Social Care after Jeremy Hunt was appointed Foreign Secretary. The appointment came during a day of turbulence for the government following the resignations of Brexit Secretary David Davis and Foreign Secretary Boris Johnson over a ‘collective’ Brexit agreement brokered by Prime Minister Theresa May at a meeting of the Cabinet last Friday. Matt has been serving as Culture Secretary for the past six months. He was previously Minister of State for Digital between July 2016 and January 2018. Having been elected as MP for West Suffolk in 2010, Matt served as a backbencher on the Public Accounts and Standards & Privileges committees. He entered government in September 2012 and has served in a number of ministerial roles, including skills and business and as Paymaster General. He oversaw the expansion of the government’s apprenticeship programme and was a champion of the digital transformation of government. 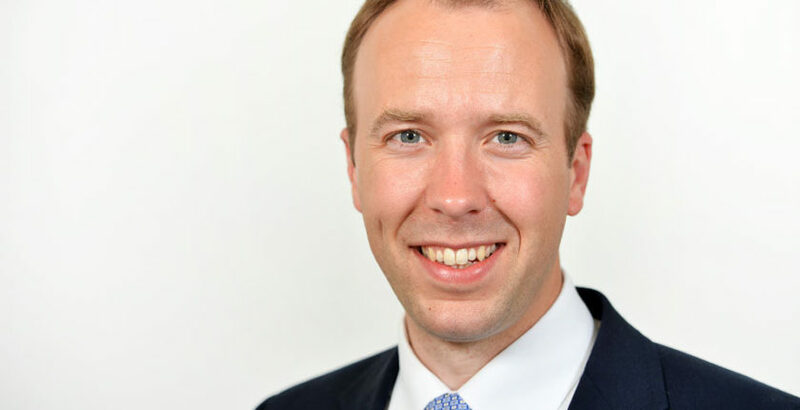 Martin Green, CEO of Care England, said: “Care England is looking forward to working with the new Secretary of State, to ensure that social care is seen as a high priority within the Department. Vic Rayner, Executive Director of the National Care Forum, added: “This is an absolutely critical time for social care, with the promise of a Green Paper in the autumn, the development of a joint workforce strategy between health and social care and, of course, the need to influence Treasury plans in the forthcoming Comprehensive Spending Review.